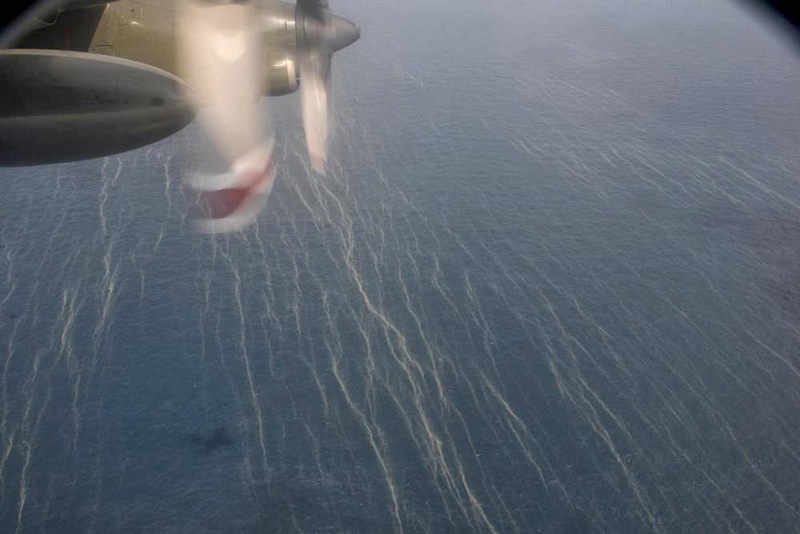 This Is Your Captain Speaking: Did Malaysia 370 Catch On Fire? There have been numerous explanations for the possible fate of Malaysia 370 over the past few weeks. Ranging from simple to ridiculous, commentators are trying to come up with a plausible explanation for the disappearance of a wide-body airliner carrying over two hundred people without a trace. Part of the rampant speculation is fueled by two impulses. One is the propensity for people to believe in conspiracy theories or other dei ex machinis. From time immemorial humans have had a disposition to rely on fantastic explanations for things they don't understand . While most members of modern societies no longer believe in supernatural phenomena or warring gods as the cause of unexplained events, it seems anyone who has ever seen an Oliver Stone or Bourne film is ready to attribute things like missing airliners to malefactors such as government skulduggery or terrorist plots. It's really just the same thing as ancient superstition except instead of an angry Zeus throwing bolts as an explanation for lightning, an Al Qaeda plot or perhaps the CIA has pulled off the perfect caper of "disappearing" an airliner into thin air. Or if some secretive government agency didn't cause the airliner to disappear, they know who did, and why. And they are keeping mum to keep some even darker secret from emerging. The second impulse fueling the incredulity surrounding this missing plane is a belief in the primacy of man and man-made machines over our environment. It's easy to see why. We drive to an ultra modern airport, step down a covered and conditioned jet bridge on to a marvel of modern technology which will whisk us over mountain and ocean to a place it took our forbears months or years of dangerous travel to reach. We glance up front to see the dimly glowing displays (and the ruggedly good looking yet coolly competent pilot) and then proceed to our reclining seat with it's own air, light, and perhaps display screen. The entire experience is designed to telegraph both a sense of safety and normalcy. This is everyday stuff to be flung at near sonic speeds over the ocean in the upper atmosphere. And it is. Until it isn't. No technology is perfect and no endeavor is immune from human foibles and passions. It may be hard to accept, but a simple, and mundane, explanation for the missing airliner is probably the case. The theory of an on-board fire has been posited as one of these simple explanations. We are skeptical of this explanation for several reasons. The theory of a fire having started in the nose wheel well from a hot nose gear tire is entirely implausible. Tires have been known to catch fire in flight but this has been almost exclusively due to hot brakes which may come in contact with some hydraulic fluid. Another possible explanation for a fire is the lithium batteries which the Malaysian government at first denied and then confirmed were on board. These batteries are known to cause fires due to thermal runaway and have been the cause of aviation accidents in the past. This is plausible but the cockpit would have ample warning of this occurrence through cargo bay fire detection systems. The first indication of such a fire would be an alarm in the cockpit. Procedures then would be to extend the gear or to deploy cargo compartment fire suppression systems and to land as soon as conditions permit. One of the first commands given by the captain to the first officer following the donning of oxygen masks would be to notify air traffic control. Virtually no on-board fire would have the capability of instantly rendering all aircraft radios inoperable as there are multiple electrical busses, backups and batteries to power multiple radios for an emergency call. That no call was made due to an on-board fire is highly unlikely. It is a human impulse to want to tell someone when something is wrong. It is known that the aircraft remained airborne transmitting data handshakes through it's satcom for many hours after losing communications. This meant that at least some electrical power was available. Any fire which was serious enough to make communications instantly unavailable and yet spare the power to the satcom, which is located in the same electronics bay as the radios would have to be a highly selective fire indeed. Lastly, we have commented previously about airborne fires. Any airborne fire, if not extinguished will likely bring down an aircraft within 20 minutes or less due to either crew incapacitation or the failure of control cables and the structure of the airframe itself. Again, the 777 was transmitting data handshakes for many hours following it's disappearance from radar. For these reasons we believe the explanation of an on-board fire is implausible. We also believe it is becoming increasingly unlikely that the aircraft will be found. The ocean is truly a large place and surveillance even in this day of modern radar is still mostly limited to visual searches conducted from aircraft. Most of the large structures of the aircraft have likely sunk at this point leaving only flotsam such as seat cushions left which will be very difficult to spot having likely been dispersed by currents. The weather in the South Indian Ocean will also be challenging as the region is entering winter. Reduced visibility and storms make the search that much more laborious. Whitecap waves are difficult to distinguish from floating debris. That's not to say that the search will or should be given up. The mystery, though, may prove to be a durable one.